If you’re thinking of putting a home on the market, you’re probably aware that there’s some prep work to do. Most properties need to be spruced up before potential buyers start coming through, but it doesn’t have to mean a major investment of cash and time. There are many ways to put your house in position to sell quickly that won’t break the bank. In fact, you might be surprised at how much good you can do with some paint, a few gardening tools and a commitment to clean and declutter. If you’re not sure where to begin, try seeing your home the way a potential buyer might. What could prevent someone from envisioning your home as their own? Here are a few tips that can get you off to a good start. Good curb appeal is a definite “must have” for any property. You want a landscape and home exterior that make passersby react instantly and positively. Keeping the grass mowed and the kids’ toys picked up is a start but remember that this is how you’ll attract people who are motivated to buy, as well as those who could be convinced to check into a house that just looks great. Keep the bushes well-trimmed and weed out dead plants and lawn debris. Add fresh flowers along the front of your house and mulch around trees and flower beds. Check for cracks that need to be filled in the driveway and walkways and consider giving them a good pressure washing while you’re at it. Don’t neglect the front of your house. Does the front door or the entire front facade need to be repainted? A bright and clean presentation can make a tremendous difference when trying to attract buyers. Remember that prospective buyers will want to peer into every corner and closet and check out storage space, which is a big factor for many buyers. Clean out the basement and garage, especially if things have stacked up in there for a while. These are good places to declutter because people will want to see how much storage space they can expect. Get rid of any useless or duplicate items, sell or give away anything else that’s no longer needed or wanted, and carefully organize anything that remains in storage areas. The decluttering phase is a great time to downsize and get rid of items you no longer need, but if you’re lacking in time or energy or still have too much “stuff” post-purge, store your extra belongings in an offsite storage unit. It’s easy to shop around online for the closest and cheapest storage options, but on average, you can expect to pay about $125 per month for storage in Seattle. It’s an extra expense, but if it helps make your home more desirable to potential buyers, it’s money well spent. Few parts of your home show wear and tear as clearly as flooring. Years of use can make carpeting or hardwood flooring look roughed up. Consider whether carpeting can be brought back to life with a good cleaning or if it’s time to replace it. Often, a professional cleaner can remove deep stains and odors that have built up over a time. Bear in mind that hardwood is a popular choice among homebuyers these days and might make an attractive alternative to that old, worn carpeting. Many buyers focus on natural light, so pay close attention to your window treatments. Change old curtains, drapes or blinds if they look yellowed and worn. By hanging window curtains a bit higher and wider than your window frame, you can make a room look both taller and bigger – a simple change with big results. And remember that curtains can be used for both practical and aesthetic purposes. They’re a great option for concealing shelving in your laundry room or as a graceful canopy over your bed. Creativity and cleaning can go a long way toward preparing your home to sell quickly. Presenting an attractive space inside and out is essential for staging a property and, best of all, you can do it affordably and attractively. Article by Kelli Brewer – Kelli Brewer is proud of her military family and is passionate about supporting other military families through DeployCare. Fall may be the best time of year to get a good deal! The fall may be notorious for a slowdown in the housing market. But for home buyers that shouldn’t mean they should go to an early hibernation. For home shoppers, the fall likely will be the best time to buy. October can offer the best month for home deals, according to research by RealtyTrac of more than 32 million home sales over the last 15 years. In October, home buyers paid 2.6 percent below the estimated market value at the time for their homes, the study shows. In other words, on a $300,000 home, they could save $7,800 by purchasing it in October. The home buyer rush from the summer days is over. Home shoppers this summer who were rushing to find a home before school started have already found one. Fall home buyers will have less competition. “Many folks will drop out of the market until after the new year,” says Bill Golden of RE/MAX Metro Atlanta Cityside. Home sellers in the fall may be more pressed to sell. They are “generally people who need to sell, which can make for better negotiations for the buyer,” Golden says. The longer a home lingers, the more negotiating power the buyer likely will have. Plus, some sellers may want to get settled in their new home before the holidays and have more incentive to make a deal sooner rather than later. Home buyers who close on a home by the end of the fiscal year may find a nice tax deduction awaiting them on April 15. They may be able to deduct closing costs, property tax, and mortgage interest to offset their taxable earnings. Skip potential trouble by doing these 6 things. COURTNEY CRAIG is an Atlanta-based writer and editor. Follow Courtney on Google+. Image: Raymond Forbes LLC/Stocksy United. You really don’t know who else has keys to your home, so change the locks. That ensures you’re the only person who has access. Install new deadbolts yourself for as little as $10 per lock, or call a locksmith — if you supply the new locks, they typically charge about $20 to $30 per lock for labor. Investors could benefit from reading this article as well. You never know how many people have a key and could possibly get into a home you are working on and swipe tools or new appliances. The section for checking for plumbing leaks could also save a lot of money and problem solving later. Whether you are fixing up the home to resell or are going to rent the home after repairs or updating, the new buyers or tenants will want to feel comfortable that there are no leaks or pests in the home. 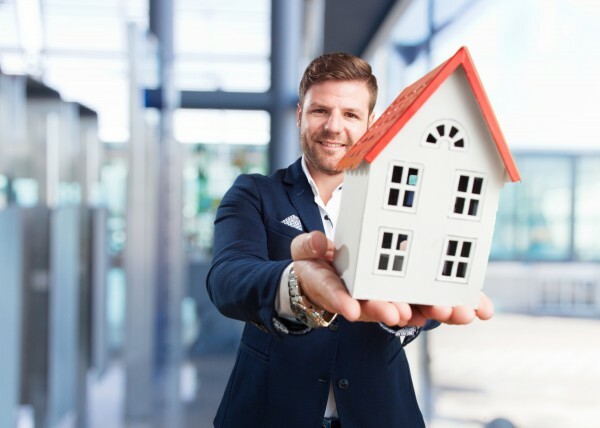 If you are searching for a foreclosed home, or it just so happens that your dream home is a foreclosure, there are a few things that you need to know before you jump into the purchasing process.